The store is located on 2nd Ave. N. in the heart of downtown Birmingham. 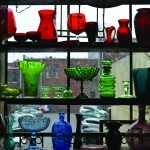 Since its opening in 2007, What’s on 2nd has gained a reputation for being a high-quality antique shop that offers a variety of products and the feeling of nostalgia that can be found looking through the store. Owned by Steve Gilmer and Michele Wilson, has many antiques to offer to customers, such as vintage postcards, t-shirts, toys and various collectibles. Gilmer said he liked the location due to the aesthetic appeal of the store as well as where it is in the city. The shop has become one of many stores to pop up in downtown Birmingham over the last few years in an attempt to make use of some of the older, previously abandoned buildings in the area. What’s on 2nd has become special thanks to the wide stock of products. 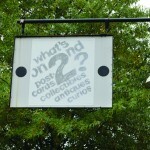 Rather than just focusing on one area like a lot of antique stores, What’s on 2nd appeals to many people. “Some of the more popular products include the cameras and vintage postcards,” Gilmer said. Upon walking into the store, a customer can find hundreds of postcards from various states dating back many decades. 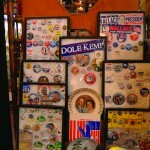 The store is also filled with past political campaign memorabilia spanning the last five decades of presidential campaigns from Dwight Eisenhower ads to John Kerry posters. Going upstairs to the second floor, one will find various toys hanging on the wall from popular movies such as Star Wars and X-Men. There are books, comics and pictures of Birmingham taken decades ago. One will also find vintage records by artists such as Elton John and the Bees Gees. Even the store’s restroom is covered in Elvis memorabilia. “I’ve seen people from New York and California come in and say they don’t have anything like this store there,” Gilmer said. There is a market for antiques in the Birmingham community and having a store located in a populated area has helped it succeed over the last seven years. 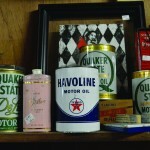 What’s on 2nd is the type of store that is fun to just look around and admire aspects of life decades ago.